If you get paid weekly, there are several times a year that you'll take home five paychecks in a month instead of the usual four. That's because the 52 weeks in a year aren't distributed evenly between the 12 different months. Because many regular expenses such as rent, gas, electric, and all those internet and smartphone bills are due monthly, you'll likely end up with a little extra cash in your wallet in these off months. It pays to make a note of when those five-paycheck months will occur—then you can plan ahead how you'll use those extra checks to improve your finances. You might want to just bank that full extra paycheck into a savings account or add it to your investments. If you do that each month in which you get an extra check, you'll have added a full month's worth of net pay to your nest egg—and you won't have shorted yourself on your monthly cash flow needed to meet regular expenses. Or, you could use that extra money to pay down credit card debt—if you have some of that—or make an extra payment on your mortgage, which would go entirely toward the principal, increasing your equity. This is actually another form of saving the money because that equity comes back to you when you sell the house. 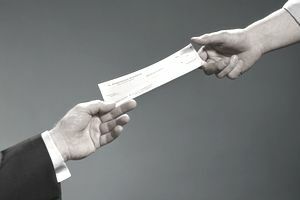 These extra checks might feel like windfalls, and you could earmark them for all the fun you want in your life but really can't comfortably pay for out of your regular four checks each month. So, why not set up a "splurge" savings account that's devoted entirely for play—vacations, expensive dinners out, and those pricey plays or concerts you want to attend. What If I Am Paid Weekly? If you are paid weekly, each of the years from 2019 through 2029 has at least four months containing five weeks. That means you'll get a total of 34 extra paychecks (including two years, 2021 and 2027, with five five-week months) taking place between 2019 and 2029. That's a lot of extra cash to use for fun, to pay down debt, or any other way you see fit. What Happens If I Am Paid Every Two Weeks? If you get paid every two weeks, you will also see months where you will receive three paychecks instead of two. However, this will only occur if your payday falls on the first Friday of a month that has five Fridays in it. But, unfortunately, if your payday falls on the second Friday of those months, you will only receive the usual two paychecks. The next step? Get out your calendar and check the five-Friday months to see when your payday will fall. What expenses can you expect in these months that are not in your regular monthly budget? They might include holiday spending, birthdays, taxes, school expenses, or months with recurring home and car maintenance. If you do get an extra paycheck, it might show up just in time to keep your budget in tack during those extra-spending months.